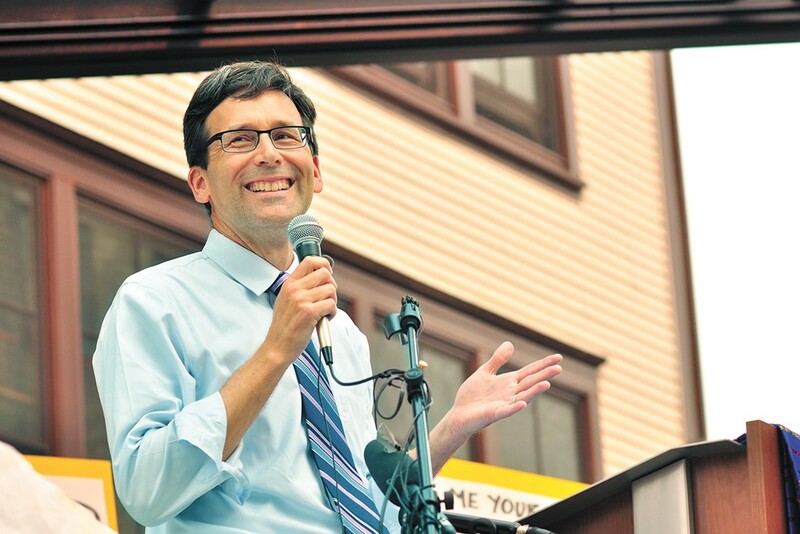 Bob Ferguson takes Greyhound to task. Two weeks after Portland comedian Mohanad Elshieky's tweets about being interrogated by Border Patrol landed Spokane's Greyhound bus depot in the national spotlight, state Attorney General Bob Ferguson has sent a letter to Greyhound, calling for the transit company to "terminate its practice or policy of voluntarily permitting federal agents to board buses to conduct warrantless immigration enforcement checks at the Spokane Intermodal facility." Border Patrol has consistently relied on a law allowing them to board "any railcar, aircraft, conveyance, or vehicle" within 100 miles of the border to justify searching Greyhound buses in Spokane without a warrant. Greyhound has maintained that they hate the impact of Border Patrol's sweeps on their passengers, but have said that, because of this law, they have no choice but to allow the sweeps to occur. Not so, Ferguson argues. He points to a 1973 Supreme Court case that concluded that a warrantless search 20 miles from the Mexican border didn't constitute a "border search" because the road was "essentially an east-west highway." Today, he points out, Greyhound buses being boarded at the Spokane Intermodal Center are often those traveling exclusively on east-west routes that never cross the border once. Yet Ferguson's letter isn't aimed at Border Patrol: It's aimed at Greyhound, the private company caught in the middle. Ferguson suggests that voluntarily allowing Border Patrol agents "appears to infringe on passengers' rights in a place of public accommodation on the basis of race or national origin." Ferguson claims that by allowing the federal government to board its buses, they're likely violating Washington's Consumer Protection Act and Washington's Law Against Discrimination. Greyhound was not immediately available for comment. But in the past, the company has repeatedly supported laws that would more clearly constrain Border Patrol actions. The original print version of this article was headlined "'Warrantless'"